Sweet Freedom Study Guide is 216 pages of how-tos. 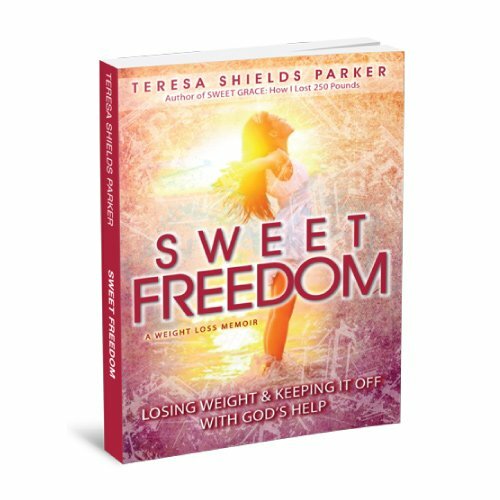 It is designed to be used in conjunction with Sweet Freedom: Losing Weight and Keeping It Off With God’s Help. The first section of the guide includes practical information and step-by-step how-tos about Forgiveness, The God Process, Exchanges, Barriers and Doors. This section also includes activities to process through to help you understand these processes. The second second section is a chapter-by-chapter study of Sweet Freedom complete with questions to ponder and discuss, Bible study and unique activities to really seal the information presented. You will not be the same after taking this journey whether you do it individually or as a group. We also have the Printed Version Available, only at Amazon.